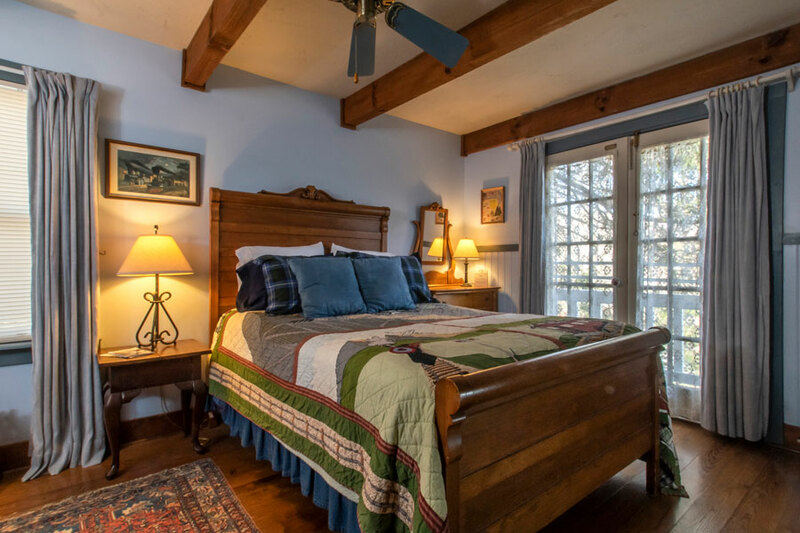 Tunnels and Trestles is an upstairs room with a queen bed and reading nook. French doors open to a balcony with a view to the east, across Deep Creek valley, with a backdrop of the Smoky Mountains foothills. 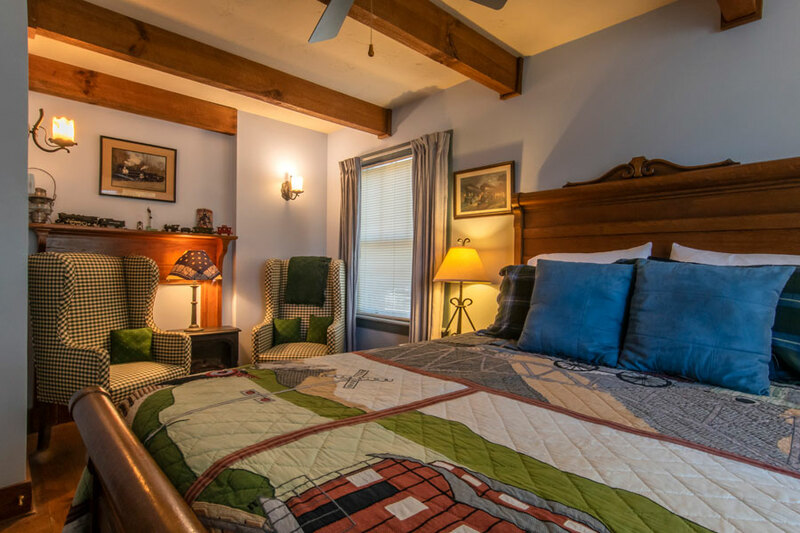 The room is decorated with model trains, railroad prints and photographs, inspired by the Great Smoky Mountains Scenic Railroad that runs through Bryson City. 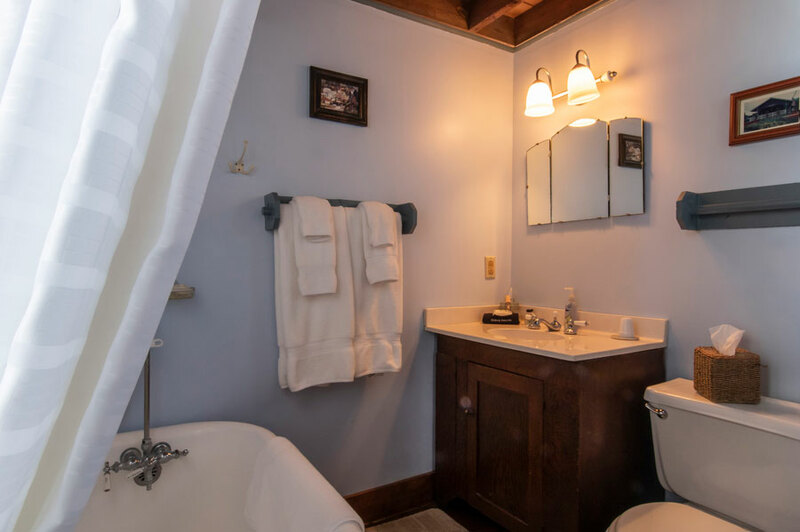 Private bath with old-fashioned clawfoot tub with shower. Robes, hair dryer, herbal soap, shampoo, and Toni's home-made bath salts. Central air conditioning, with independent controls. 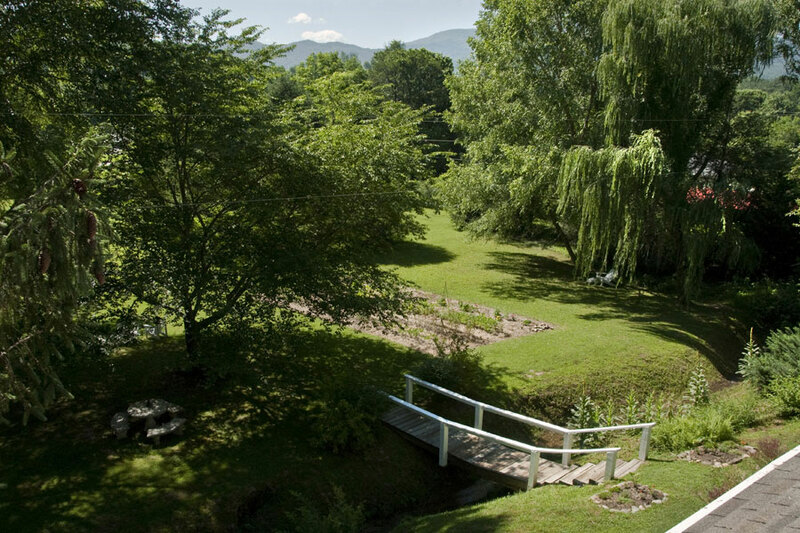 A copy of “Day Hikes of the Smokies” to enjoy while you are staying with us. So that all guests can experience the rest and relaxation they came for, we do not have televisions at the Inn. A two-night minimum stay is required Thursday, Friday and Saturday. We accept one-night stays Sunday, Monday, Tuesday & Wednesday. Some restrictions apply. Please note: We accept reservations for specific rooms, but reserve the right to change to a comparable or upgraded room. Rates are subject to change without notice. Beautiful bed and breakfast with a lot of attention to detail. Wonderful owners that make you feel at home and cater to your needs. The room that we stayed in was cozy and had an amazing view of the grounds. Highly recommend.